Home » TH Vinasun in the top 100 famous national brand and product awards ceremony. Communication Program, Promoting the TOP 100 “Brands, Famous Products – National Quality” and Honoring “The bravery of Vietnamese entrepreneurs – Phu Dong Power” is a very meaningful Social Political activity meaning with the aim of introducing and promoting and honoring brands – typical products, high quality Vietnamese products, thereby building reputable Vietnamese goods and services on domestic and national markets. Besides, we also exchange and connect entrepreneurs and businesses, share experiences in operating business effectively and actively participate in social charity activities for the development of the community. 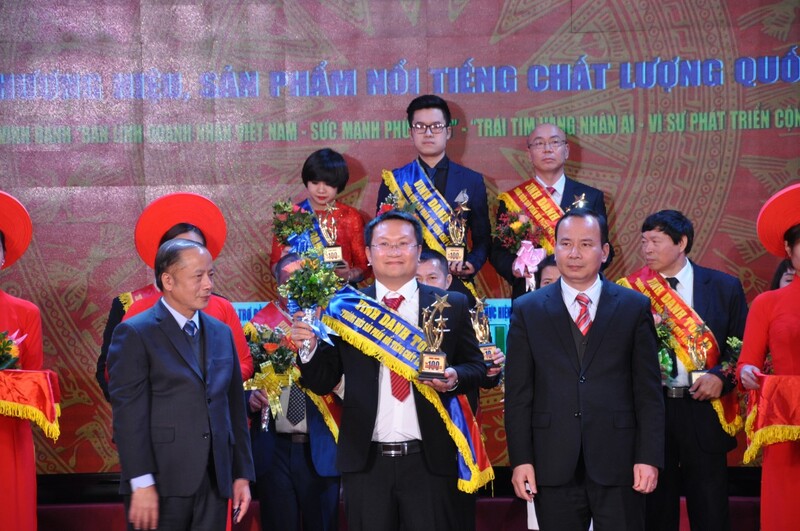 The award is a recognition for TH VINASUN’s efforts and contributions for the general development of Vietnam’s industrial fan industry. At the same time, it is also a testament to customers’ trust in our brand and quality among fierce competition with other brands in the country. With more than 10 years of experience, TH VINASUN has become Vietnam’s No. 1 brand of industrial fans, dust filtering systems, electrical cabinets, cable tray ladders. Possessing the most advanced production lines and technology such as Swiss CNC Bystronic laser cutting machine, Swiss CNC Bystronic CNC machine, Korean Doosan CNC lathe, American electrostatic painting system… VINASUN has supplied thousands of products and systems for manufacturing factories throughout the provinces and cities nationwide. With the mission of protecting human health and the environment, we are constantly striving to create the best products, expand and develop in the country and reach out to the world.